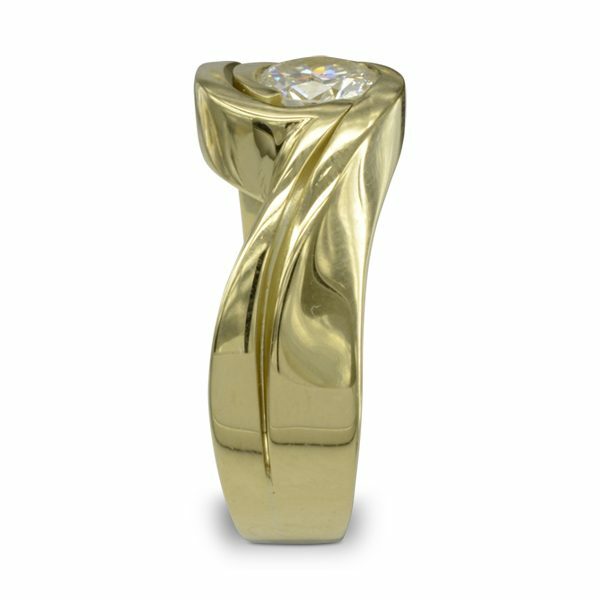 An unusual gold engagement ring wedding band set handmade in 18ct yellow. 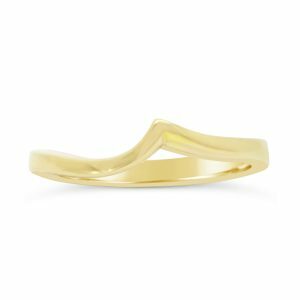 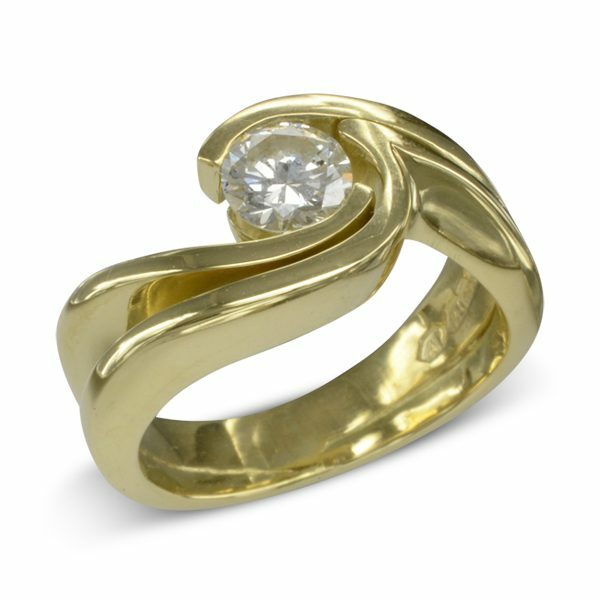 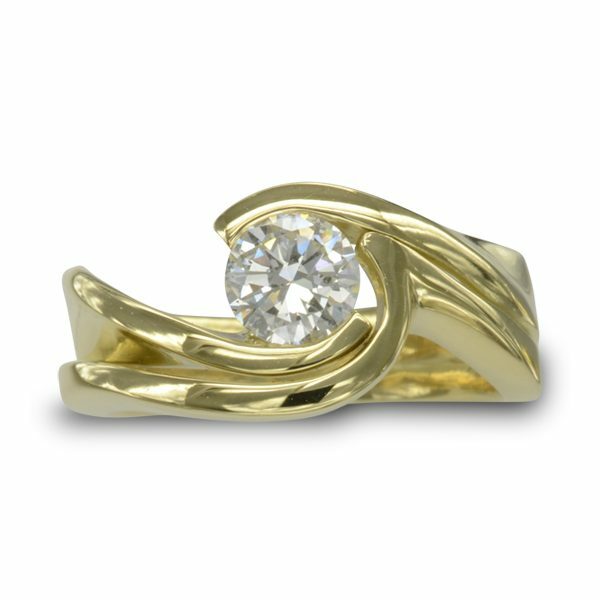 Our modern contemporary gold flat twist ring is set with a 0.64ct round brilliant cut diamond. 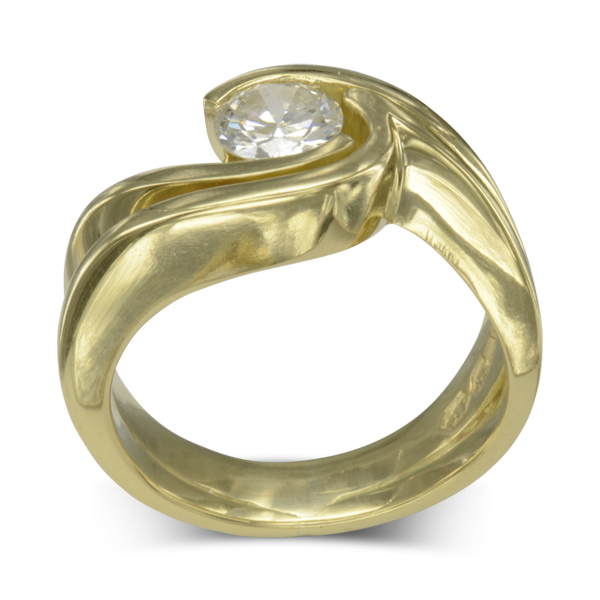 The diamond has a GIA certificate G Colour Si2 clarity.